Posted on 4, April 2016 by EuropaWire PR Editors | This entry was posted in Energy, Gas & Oil, Government, Norway, Security & Safety and tagged Barents Sea, Rambøll, The Norwegian Petroleum Safety Authority. Bookmark the permalink. 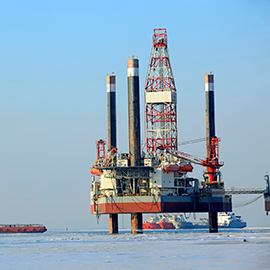 COPENHAGEN, 04-Apr-2016 — /EuropaWire/ — The Norwegian Petroleum Safety Authority has awarded Ramboll a study, which involves identifying the potential risks using drilling rigs in areas where growler and ice may threaten safety. The opening of the Barents Sea southeast region is the first time in 20 years that a new area is made available for petroleum activity. The Norwegian Petroleum Safety Authority (PSA) has awarded Ramboll a study, which involves obtaining, systematising and analysing empirical data, in order to recommend actions with regard to petroleum activities in the southeast Barents Sea. “This region may hold more challenges than what the industry and authorities have seen in the newly opened areas of the Norwegian Continental Shelf (NCS) and the Barents Sea. Therefore there is a need to look at the suitability, challenges, uncertainties, risks, and risk reduction measures for offshore units destined to operate in this new region” says Dag A. Nilsen, Director Business Development. The ST2 “Adequate drilling rigs” is one of several projects that form the PSA’s priority areas for the northern regions. The study includes identifying the potential risks using submersible drilling rigs, drilling rigs with ships’ hulls and possibly jack-up drilling rigs in areas where growler and ice may occur that can threaten the integrity of drilling and well control equipment at the sea level. The study further includes identifying the protection methods and assessing the need for other types of drilling rigs that are used in the Norwegian part of the Barents Sea today. The project will gather information about how these challenges have been managed in other parts of the world, with particular focus on simple relocation of such facilities between different continental shelves.